Happy Monday everyone. 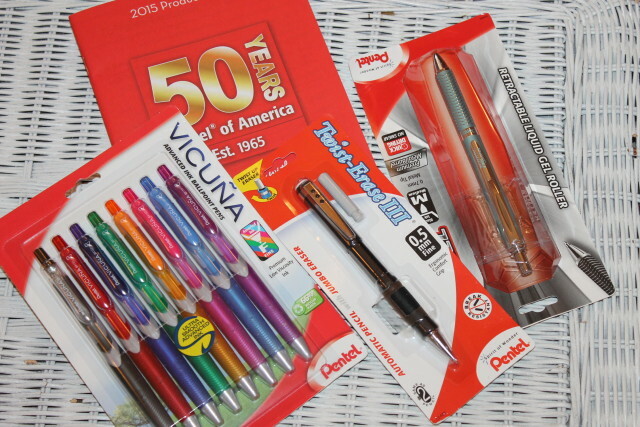 Today, I am thrilled to be one of the first #ShopletBloggers to share Pentel’s writing instruments with you. 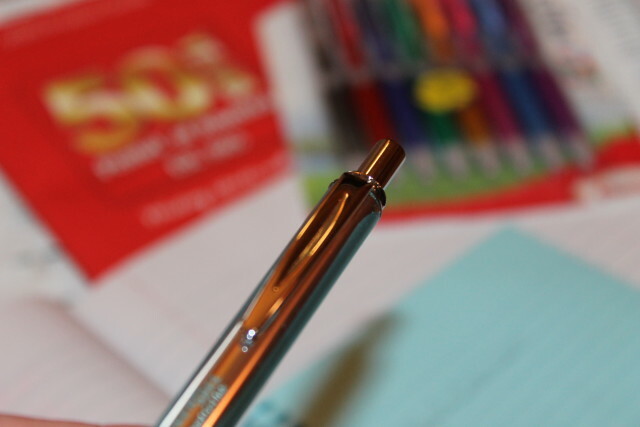 I’ve got 3 amazing products to share with you; Retractable Ballpoint Pens, a Mechanical Pencil and a Retractable Gel Pen. 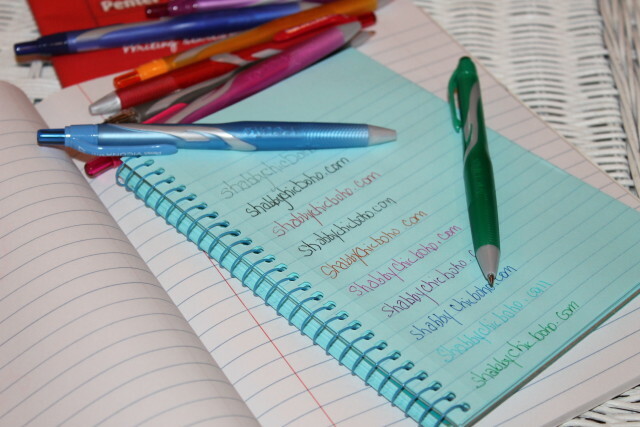 All of these writing instruments can be purchase on Shoplet along with all of your other office supplies. 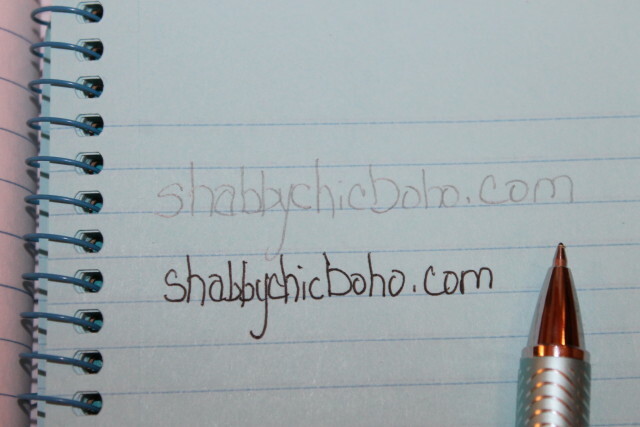 This post is brought to you by Shabby Chic Boho and shoplet.com. Although I received the below mentioned products free or for a reduced price, all opinions expressed herein are 100% completely and truthfully my own. I’ll start with the Retractable Ballpoint Pens because they are so cute and colorful making my writing and journaling a pretty task indeed. For this set I received a pack of 8 rainbow colors. I’m not joking, the colors are bright and vivid and remind me of a rainbow. 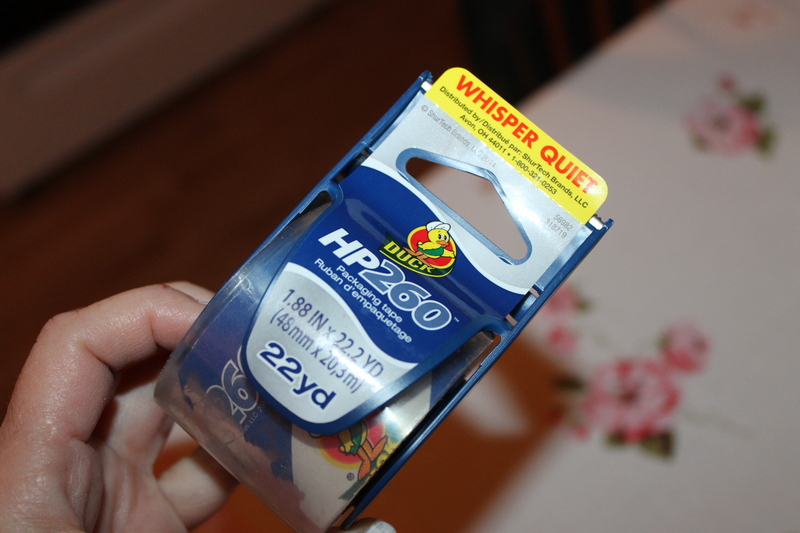 They write really well, I did have a few skips in the ink but after using them for a few minutes, that worked itself out. None of them smeared (hurrah) and dried almost instantly. The ink in these are of an oil-based nature. 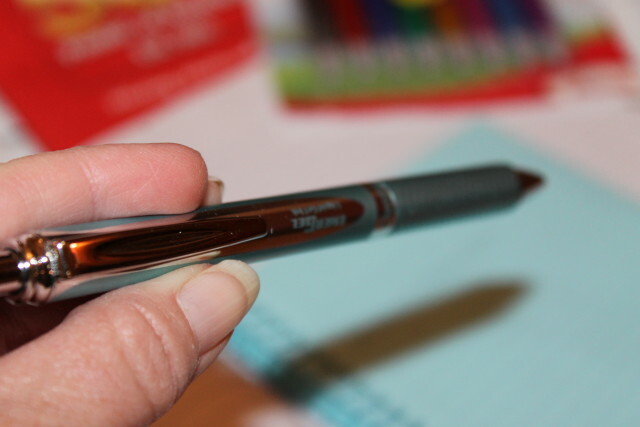 Oil-based ink provides some of the smoothest writing I’ve ever attempted and I’m sure you’ll agree if you use oil-based ink pens. The more I used these pens, the smoother writing I received. 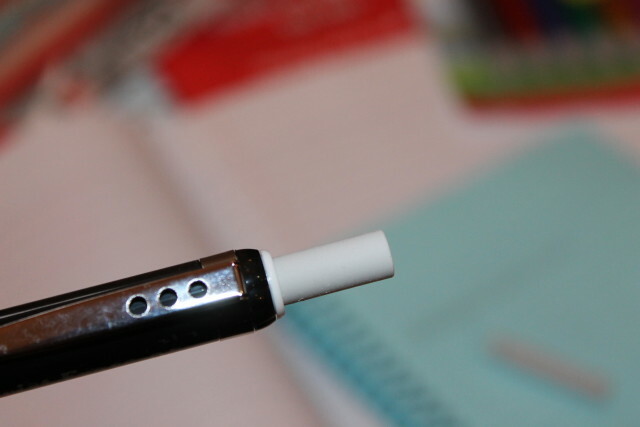 Writing made easier with a fine point. 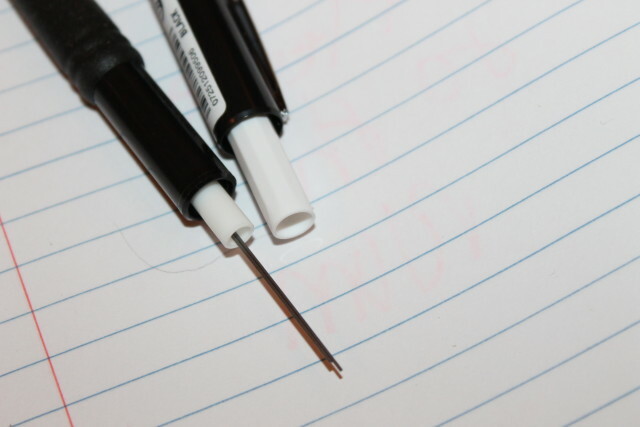 I’ve used Pentel Mechanical Pencils in the past and they are Alyssa’s favorite for school. She managed to talk me out of mine, and I don’t blame her one bit. 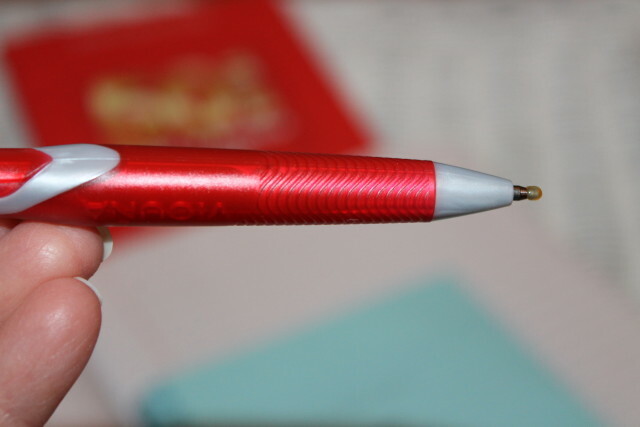 Isn’t it a lot more fun to write with a fun Mechanical Pencil than it is the boring #2’s? Of course it is which is why I’ll continue buying these for myself and Alyssa. 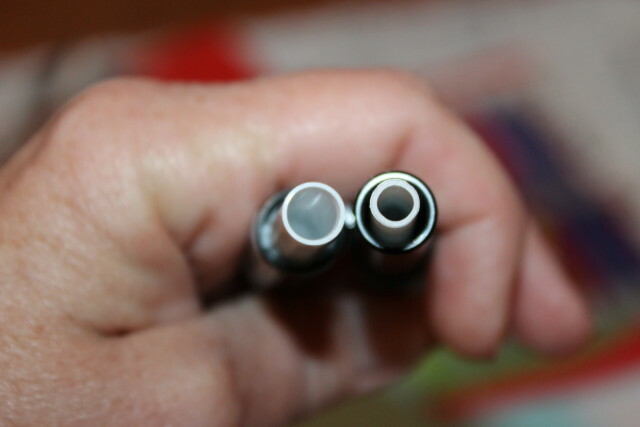 I love the protective tip design because Alyssa presses down pretty hard when she writes and the protective tip helps against breakage of the lead. 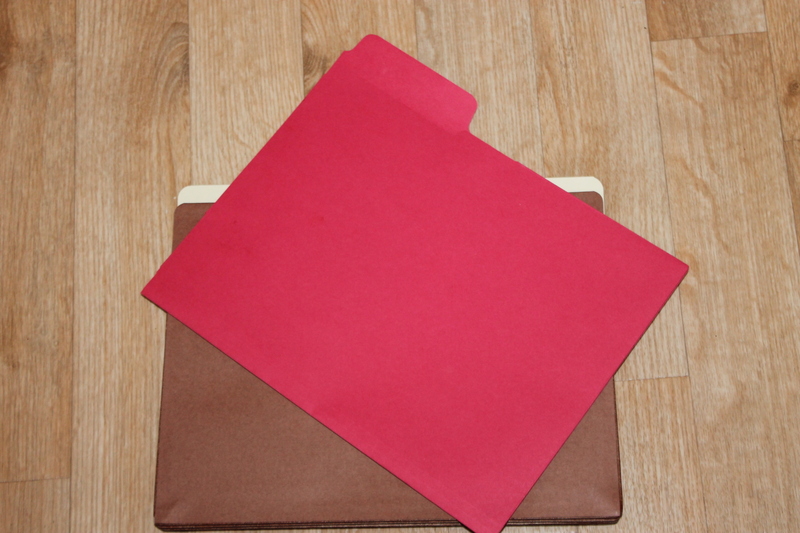 We’ll both agree that the latex-free grip makes it possible to write almost endlessly and effortlessly. 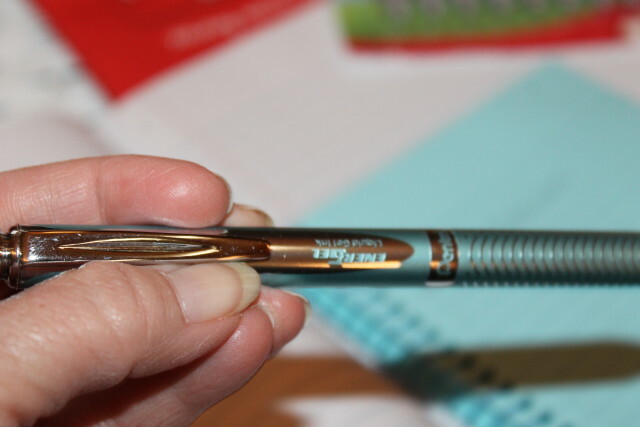 If you have arthritis like I do, try these mechanical pencils with the grip instead of the regular pencils. You’ll see the difference instantly. 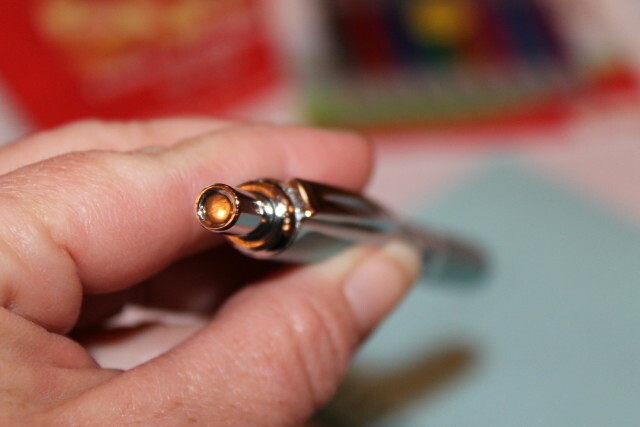 Last but definately a favorite to me is the Retractable Gel Pen that I received. 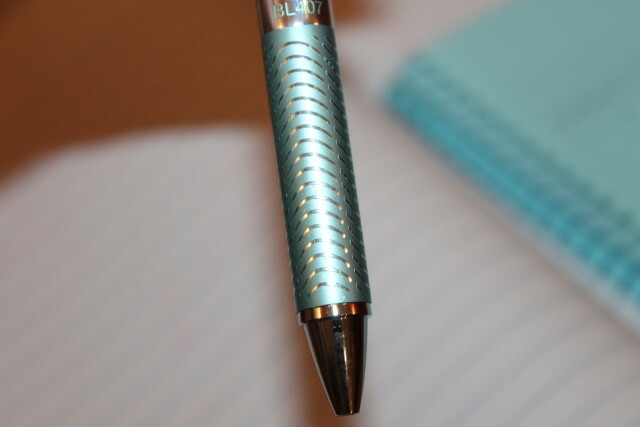 I love the powder blue color of this gel pen. And the writing is perfect each and every time. You get the high performance you would expect to see with Pentel EnerGel pens. This pen provides some of the best ink I’ve ever used and I have it sitting on my desk at all times. As I stated, it is definitely a favorite pen of mine. I love the textured grip because even if I’m sitting outside journaling, in the heat, with hands sweating, my grip stays true. 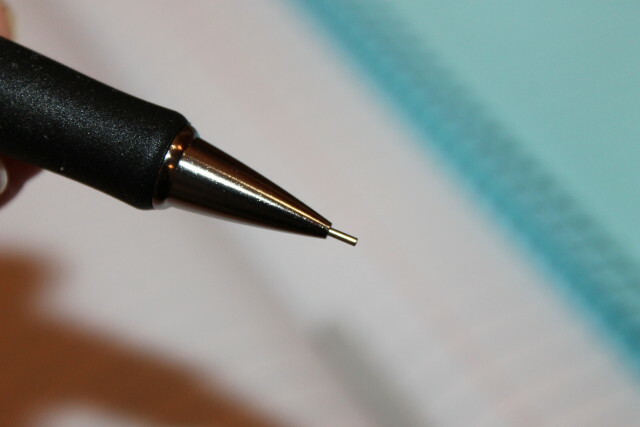 This pen has a medium point which I usually prefer over a fine point. It just shows up better to me and my aging eyes. 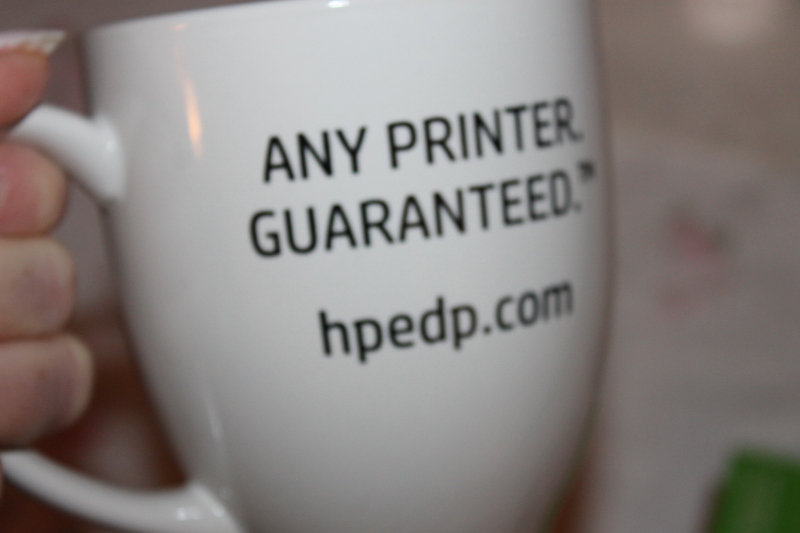 You can get these and any other promotional products needed at shoplet.com. Be sure to check out their medical supplies and office stationary while you are there. Which of the three products mentioned would you most like to purchase and why? Check out Tabby’s review at Tabby’s Pantry. This post was brought to you by Shabby Chic Boho and Shoplet. These all look fun and nice to write with. I may check this brand out, I need new ones. 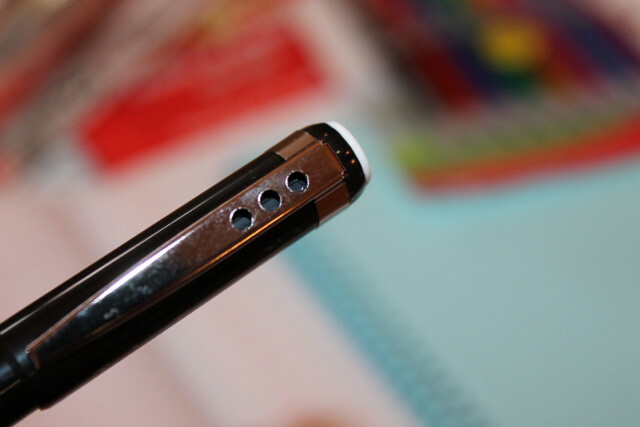 I’d definitely check out the retractable ballpoint pens because I like those smooth glides. I need a variety of colors to keep me awake while writing! Lol. Where have I been for 50 years? 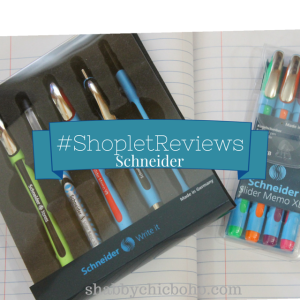 I’ve never heard of them LOL However, I may need to check them out since I HATE writing in pencil and would use these mechanical pencils for sure. 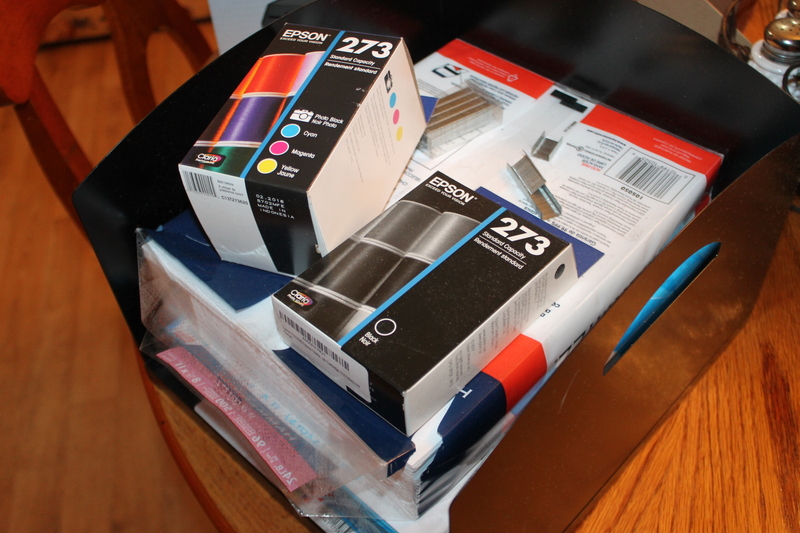 I’m a huge fan of buying a lot of pens, even when I don’t even have places to put them. I love the different colors ones especially. I keep a daily planner and write in it by hand and enjoy having everything color coordinated. Having a good grip is important. 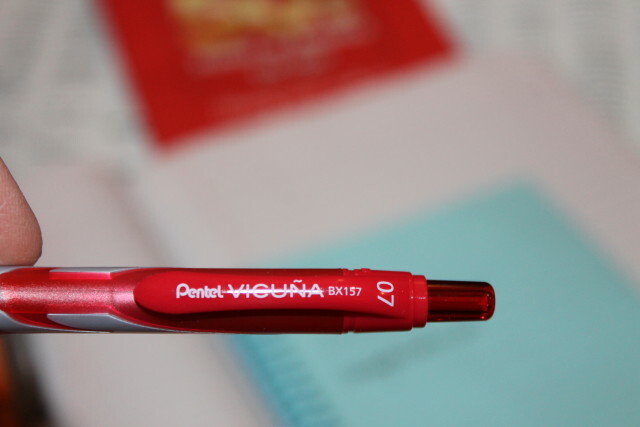 I used a pen at the dentist’s office today and it was the first time in a long time I wondered what brand it was… it didn’t say though, it had the dentist logo on it. That is impressive to have been around for 50 years. I wish them many more years of success. 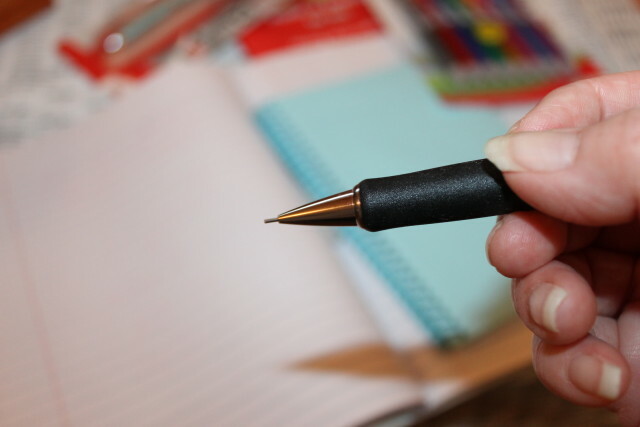 I love these pens, they look like they make writing effortless and that is what I need. 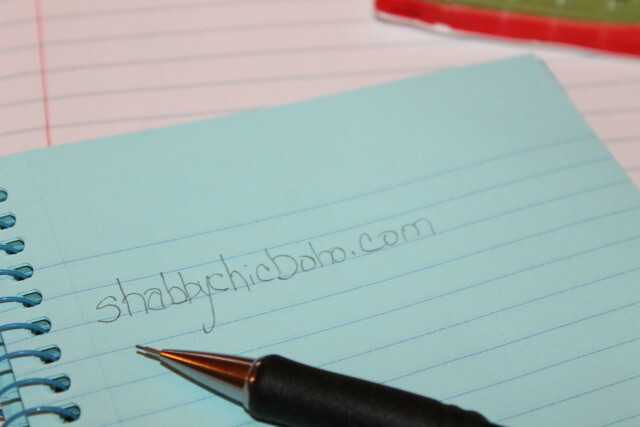 My handwriting has really went downhill since cell phone became so available. I never write anymore and when I do, I can barely read it. I need to try these pens out! Thanks for sharing! The vivid colors of these are fantastic! They would be perfect for my daughter’s homework. Crayons are to crude and a standard pen is so boring. Great review! I love this brand of pens. DId not know they were 50 years old! I love the pen colors, they look great. I’m one of those weird people with a pen addiction. Like I LOVE buying multicolored pens and I use every single one of the. 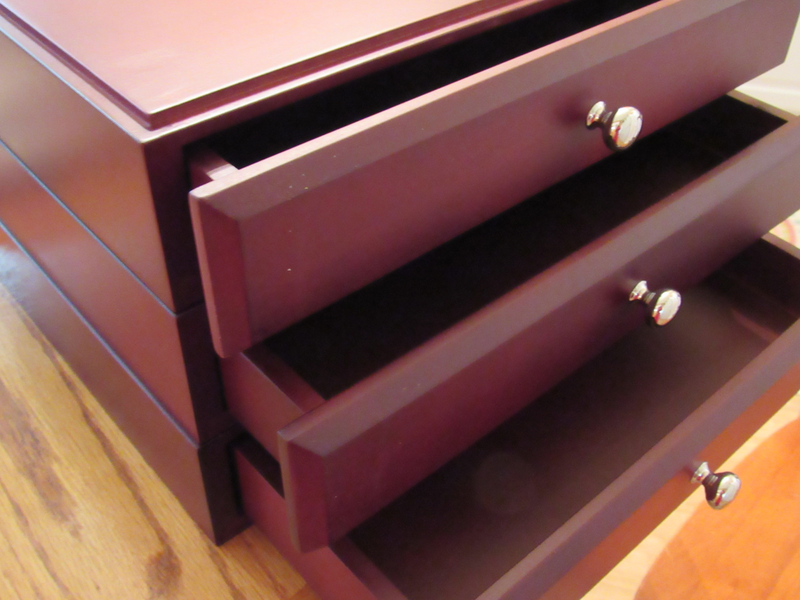 It just makes organizing in much planner so much fun. OMG I am a HUGE stationary/pen fan. Have you ever been to a store called MUJI or Daiso? I swear the japanese people know what i like. I love the 0.38mm pens the best. The scratchier they write on paper, the better!! I think these pens are gorgeous! My kids would likely steal them from me. 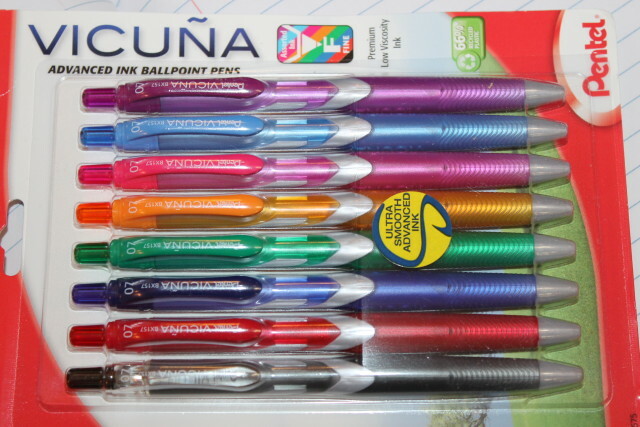 These look super nice, I like using different colored pens; they make it really fun to switch through when writing something down. Thanks for the great review! I am always on the look out for the perfect pen. Funny how much it makes a difference when trying to write/draw! Erin recently posted…Who Is Your Celebrity Mom BFF? I’m always on the lookout for new pens. These look awesome! These look like some great writing utensils. 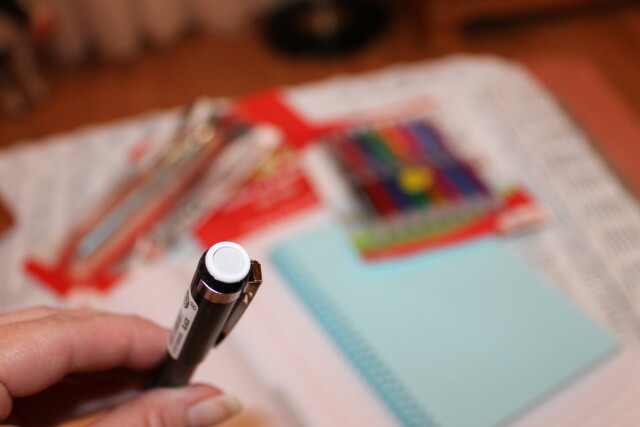 I love having colored pens on hand – always helps when making lists or adding stuff to my wall calendar. I’ll have to get some of these. These sound like super reliable utensils. 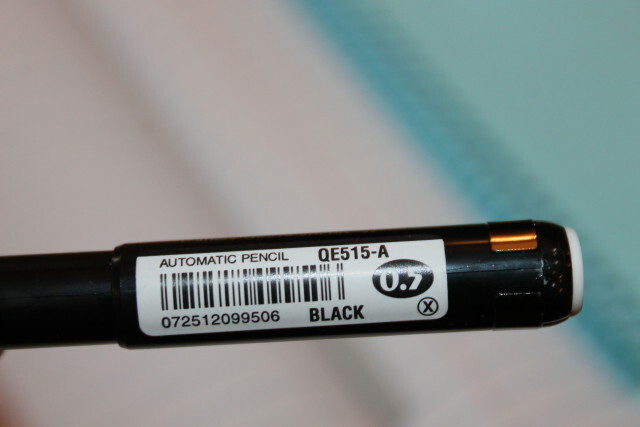 My kids always liked mechanical pencils for their homework. How fun! I love pens and pencils. I have a weird obsession. I love that the pens are colourful! Just what I need! Great post and great detailed photos! Great brand! 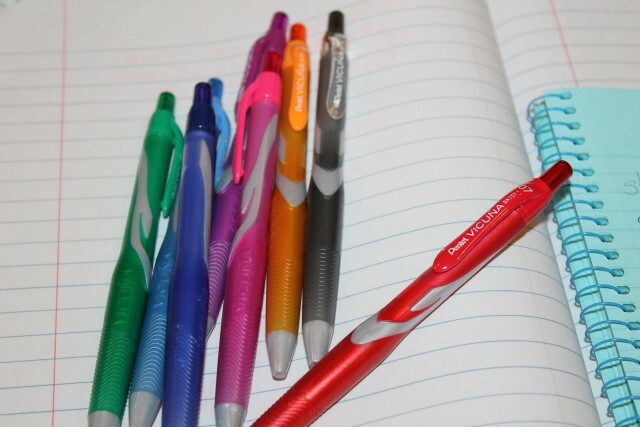 I love mechanical pencils, I need some for our homeschooling. First of all, your photos are fantastic! Great job! These pens look amazing. I love having options other than typical black and blue. The regular pen and mechanical pencil looks great too. I need to go shop for them! Thanks Howard for your encouragement. I love writing with colored ink or on colored paper. Just makes it more fun. Color me happy :). I really appreciate the close-up photos and descriptions. I’ve had to order promotional items for my company before and the catalogs I’ve looked through don’t really tell you as much about the items as you’d like to know. The whole point of putting your name on something is knowing it’s going to be quality, so I appreciate reviews like this, thank you! 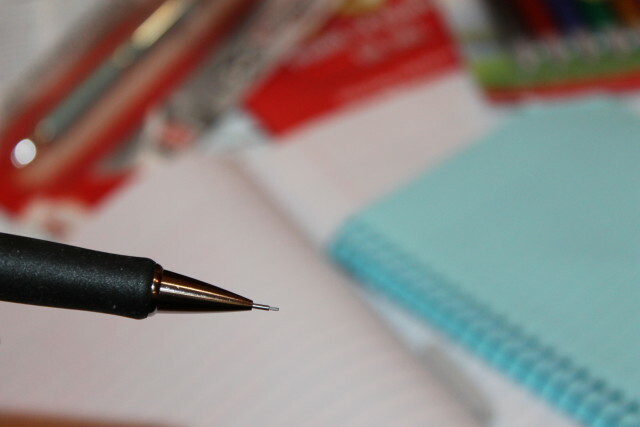 Retractable Ballpoint Pens with a fine tip are my favorite writing implement. I love that there are so many different colors available!